The writer, journalist by profession, is set out to Kabul post 9/11 attack for an extensive coverage of activities. Through this book – The Bookseller of Kabul – she tried to fictionalize the accounts or rapport she shared with the book seller, Sultan Khan. She lives with his family for few months, explores traditions, women alcoves and vernacular customs appertaining to their lives post 9/11. As the story unfolds, grip over characterization and conflicts lose plot and seems a failed attempt. Readers may feel it as a boring read, truly an undeserving book to grab such false attention online as well offline. The publication of this book questions the integrity of renowned publishers, at international level, at times they do not opt in for quality work just prefer getting anything through ostentatious writers or journalists. The era ascended by Wilbur Smith, Salman Rushdie, Ken Follet and many a prominent writer now seems gone. Publishers should consider maintaining literature-oriented charm and deserving books to be published. The author could not grasp the culture of Afghanistan and tried telling that lives of women in Afghanistan are just a waste of time. The writer keeps herself out of the plot and prominent events, and couldn't relate the events properly. Overall, reading gives no clear insight and can only make a reader to think the book is just a hotchpotch. 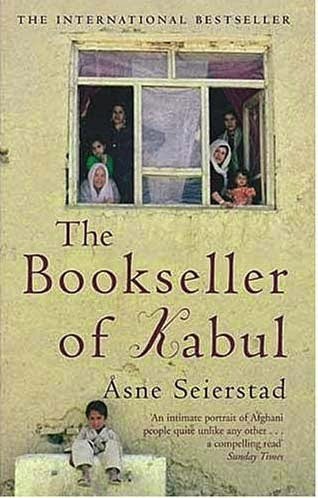 Different from ‘The Kite Runner’, this non-fiction stands nowhere and deserves not even a slightest chance among book shelves.